​Everton are looking to strengthen their midfield options this summer, with new director of football ​Marcel Brands eyeing a move for Serie A star Lucas Torreira as his first signing at Goodison Park. According to ​The Sun, Everton’s transfer team have pressed ahead with business, and have targeted a move for Sampdoria midfielder Torreira to launch a new era on Merseyside. It could be another summer of heavy spending for the Toffees, not dissimilar to that which saw them splash vast sums on the likes of Gylfi Sigurdsson, Jordan Pickford and Michael Keane under Ronald Koeman during the previous close season. The Uruguay ace has also been rumoured to be of interest to Arsenal, who are apparently considering a move for Torreira as one of multiple targets to strengthen their central midfield ranks this summer. Torrreira has made considerable waves during his two years at Sampdoria. The 22-year-old has also generated interest from Napoli, who have apparently held a long-standing interest in the Uruguayan and view him as a potential replacement for Jorginho, who has been heavily linked with a move to ​Manchester City this summer. 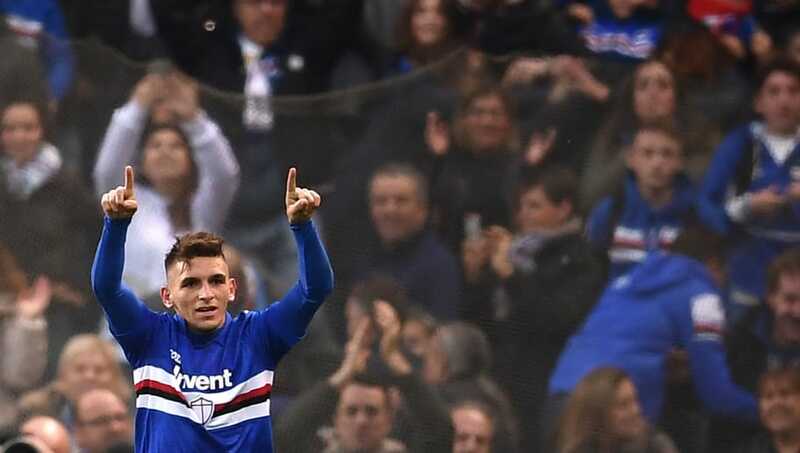 Torreira joined Sampdoria in 2016 from Pescara and has gone on to make 71 appearances in ​Serie A, scoring four goals for his side. The Uruguayan is fundamentally a holding midfielder, primed for making challenges and breaking up play at the heart of the pitch, though he also has the ability to drive forward and initiate attacks for his team. The midfielder has a €25m release clause in his contract, a fee which should be feasible for an Everton side who were able to splash £45m on Sigurdsson last summer.